Join the Harvard Club and support a good cause at this inaugural 5K trail run/walk at the Old LA Zoo in Griffith Park on the Saturday of Mother's Day weekend. 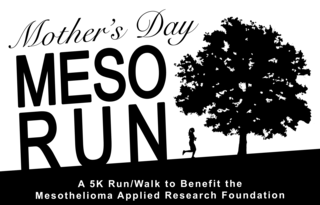 The run/walk aims to raise awareness about mesothelioma and benefits the Mesothelioma Applied Research Foundation, a 501(c)3 dedicated to eliminating this cancer. Harvard Club Members receive a $5 discount. Contact the HarvardClubSoCal@gmail.com for the PromoCode. RSVP here so we know you are coming, but be sure to also register for the race directly. Here is the registration page on the website; and here is the registration form. There is free parking in Griffith Park. Closest lots are across from the Old Zoo area or at Merry-go-round Lots 1 and 2.